green are now various shades of a gorgeous sunset. I took of fall on film. One of my favorite combinations! say I am quite happy with the find. surrounding me like this, I know I am. 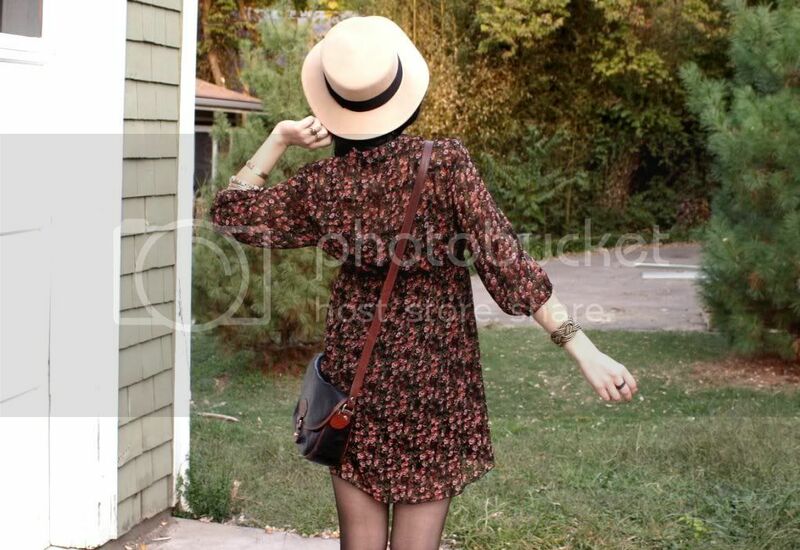 wearing: ShopNastygal hat, f21 dress, thrifted loafers & bag. I agree w/the comment above, ure so lucky u get to see beautiful fall leaves:) Beautiful pics and of course, great outfit! Those are great finds! no surprise i basically love everything about this post too, haha. from your hat to your dress to your shoes (what a great find!). the autumn inspiration is definitely beautiful. i'm glad you're having a wonderful week so far! I love your film photos, especially the last! It really evokes the feeling of autumn. You always find the most gorgeous things! I've been on the search for a pair of loafers... Once again you've beaten me to it, haha. such a cute dress and totally makes you look sweet and adorable..
Those shoes are extra adorable!! 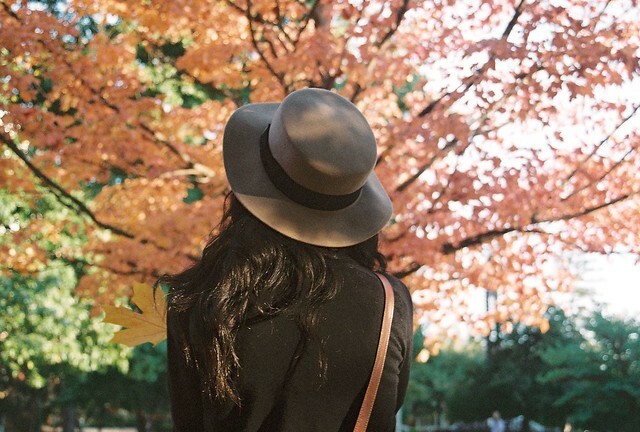 Love the pictures of Fall you took :D makes me want to be able to wear all my big coats I have been thrifting! Your dress is beautiful. So bohemian and warm. Love it form head to toe! Love the dress, hat and bag. Love all of it. Floral print becomes so good with your character. Love it! Every detail in this outfit is amazing, so intricate and delicate! I'm definitely missing fall here in Australia! I absolutely love fall.You look perfect for this season.Love it! Every morning on my drive to work I notice how the leaves get brighter and more colorful every day. It makes me so unbelievably happy, I love everything about this weather! The last picture looks as if you had stolen it from a novel. I love it, it's like, fall in a nutshell. nothing to comment on this post ! the whole outfit is just PERFECTO ! loving that nastygal hat very much ! goodness! you look so pretty here! loving the hat as well as the loafer. Isn't it cute? I love it. You should get one! Super affordable. I love this hat so much. 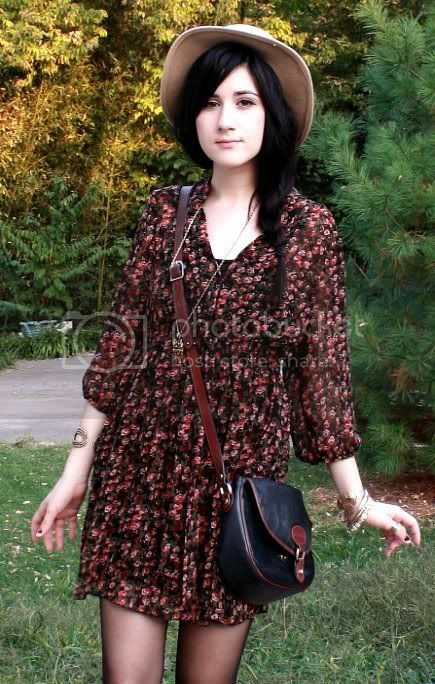 such a cute dress, I love your blog pretty lady :) am gonna follow!! thanks for stopping by! i love your film photos! gee i can't remember the last time i shot on film, i really need to fix this. I LOVE your work! The last three photos are brilliant. I love the print of that dress! You look gorgeous! Oh I totally love that flower print and the hat!!! In norway we have fall just like you :) We are so lucky having inspirations like this! Love love love that dress! Absolutely fall like and beautiful. film photos are always lovely (: i especially love the last photo! I love the shoe/ sock combo at the bottom- so dainty! Oh those shoes are perfect! I love your outfit! The bag and the shoes are perfect. yes very fall dress and colors! like always i love your bag! oh god. another "photographer". really pathetic. fall florals are my obsession! you do it perfectly. please dont hate me, but in your profile extremely loud and incredibly close is by jonathan safran foer. but dave eggers rocks too!!! i love the play on words in your title! your dress is THE most perfect fall floral. this is so pretty and i LOVE your loafers! Such a classy and romantic look, love it! gorgeous outfit and photos!! LOVE the post! amazing dress also, CHIC!! Too cute! You have Great style! nice blog, hope you will become a follower of my blog too? You look BEAUTIFUL. I love your plait, and shoes. I love your shoes. The pictures you took are great. I love your outfit, it's so perfectly autumn! The photos taken on film are gorgeous :) Hope you're having a great week so far and thank you for your lovely comments! 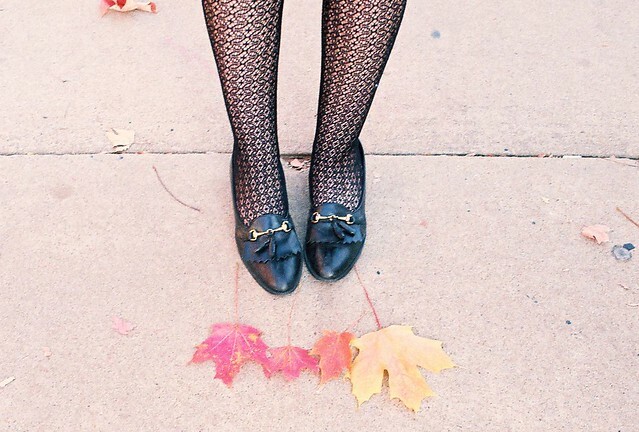 You are so gorgeous and this is such a perfect fall outfit! 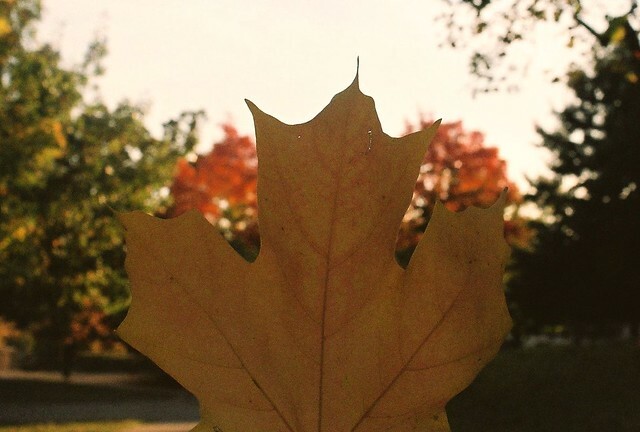 I wish it was more of a typical fall here so I could take some pretty film pictures like yours!